You can have a look at what the Bible actually says about the Four Horsemen before we start in Revelation 6:2-8 (simply click on the blue words). Abaddon is eventually killed by the Horseman of the Apocalypse who is named War, after being defeated in both his dragon and fallen angel forms. The Abaddon of the game seems to represent Lucifer according to Isaiah 14:12 and Revelation 12:9. (For until the law sin was in the world: but sin is not imputed when there is no law. Nevertheless death reigned from Adam to Moses, even over them that had not sinned after the similitude of Adam’s transgression, who is the figure of him that was to come. The first Adam brought sin and death into the world, but Jesus came to take it away and save us through his death and resurrection. Now, Darksiders is replaying what happened in the Garden of Eden to bring sin back. This entry was posted in Uncategorized and tagged Bible, Darksiders, Darksiders 2, Death, demonic, evil, Four Horsemen, God, KJV, video games, War. Bookmark the permalink. Here’s the thing though: the game is conjuring an entirely fictional “what-if” scenario were this to somehow actually happen, which wouldn’t. All in the Bible will happen, but please don’t hack at a video game. That’s why God gave us the imagination. Thank you for commenting Alex. 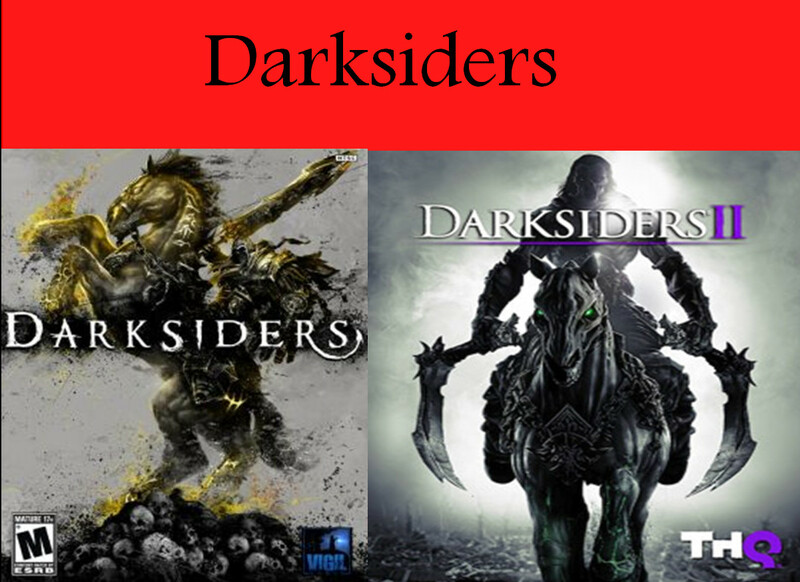 My intention is not to “hack” or bash any video game, including Darksiders. I just put this information out there to give a biblical perspective on the games we play. In this article, I am for the most part just showing the difference between the truth of the Bible and the story put forward by the first Darksiders game.